This site has been created by Mystical Life Publications — the non-profit publisher of spiritual author Belsebuub — to record the history of Belsebuub’s Searching Within course. It provides an explanation of Belsebuub’s work on self-knowledge, including how he wrote the course material for Searching Within, how the course was structured, and how it was delivered both online and in person. This site also provides access to the Searching Within course contents in the form of an online eBook, shares experience articles about the benefits of participating in the Searching Within course, and explains why and how the contents of the course were used to create the book The Peace of the Spirit Within and later Self-Knowledge for Spiritual Awakening and then Searching Within: Taking the Way of Self-Discovery for the Journey to Source. 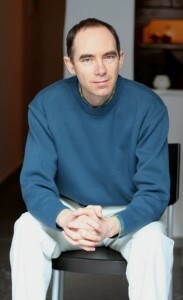 Belsebuub is the pen name of spiritual author and practitioner Mark Pritchard. Throughout his childhood and early adult years Mark (Belsebuub) held a deep interest in spirituality, attending various groups, visiting sacred sites, and attending lectures by Jiddu Krishnamurti where he first learned about practices to bring oneself into the present moment. However, despite having a profound respect for Krishnamurti, Mark (Belsebuub) found his teachings to be circular, realizing that they would not lead to profound inner change. In the early 1990s Mark (Belsebuub) came across another school explaining about how a person could follow the process that leads to enlightenment. Through this school he began exploring exercises for awareness and self-knowledge more deeply which led him to begin this process of spiritual inner transformation, a path of which he has reached the later stages. Having begun to gain many profound experiences with the exercises he was being taught, Belsebuub started to run groups in multiple cities in the UK and later in Australia, where he explained self-knowledge information and practices as well as other spiritual topics. In 2001, after years of freely teaching spirituality and self-knowledge in physical groups, Belsebuub began to publish free online courses. The first course he create was a course on astral travel and dreams, followed shortly after by his course on self-knowledge, which has been known variously as the Searching Within course, the Self-Knowledge course, and the Self-Discovery course. This course became very popular, being run both on and offline and taken by tens of thousands of people over a period of more than ten years. Learn more about Belsebuub and his work on self-knowledge via the button below. 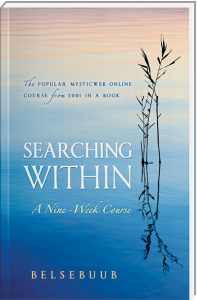 First introduced in 2001, Searching Within was a free course in self-knowledge written by spiritual author Belsebuub. In a time when e-learning was in its infancy, the Searching Within course was originally delivered online in eight weekly installments. Each week participants could download free PDFs detailing a different aspect of self-knowledge and sharing a practical exercise that participants could use to understand themselves deeply and to live more spiritually. Due to its popularity online, Searching Within was also requested as a physical course, and began to be run following the same structure in study centers and groups, eventually reaching eighteen cities around the world. In the course, participants learned how to practice awareness of the present moment and how to observe their inner world of thoughts and emotions, thereby understanding the psychological causes of negative inner states and harmful behaviors. Participants also learned about consciousness, how to improve relationships, overcome addictions, and cultivate spiritual states such as inner peace and happiness. Topics and practices from the course built upon each other from week to week, progressively allowing participants to broaden their understanding of self-knowledge both theoretically and practically. However, the main emphasis in the Searching Within course (and all of Belsebuub’s courses) was on personal practice, experience, and inner change in one’s own life. The original material from the Searching Within course has been made available as an eBook that can be read for free on this site. The eBook can be accessed via the button below. 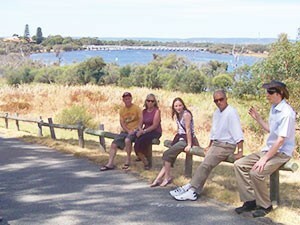 Searching Within was a life-changing course, with many of its participants explaining how the course’s practical focus and clear guidance allowed them to explore states of consciousness such as peace and happiness and to understand and begin to overcome undesirable emotional states such as negativity, fear, and anger. Course participants stated that what they learned from Belsebuub allowed them to understand themselves better and to learn about the psychological causes for difficulties in their relationships and other problematic situations in their lives. Through this understanding they were then able to change their lives for the better. Beyond improvements in everyday life however, course participants also described how the subject matter of the course led them to introspect on the big questions of life, which frequently led to participants finding a purpose and meaning through the course that they had not previously known existed. To read experiences with the Searching Within course use the button below. You are also welcome to share your own experiences with the Searching Within course to be considered for publication through the contact page. In 2006, five years after the Searching Within course was first available, the course content was revised, updated, and published in book form as The Peace of the Spirit Within. In 2011 it was further revised, updated, and re-released as an eBook version Self-Knowledge for Spiritual Awakening, and again in printed form in 2017 as Searching Within: Taking the Way of Self-Discovery for the Journey to Source. The latest book includes much of the content of the Searching Within course, with a new topic in each chapter, as well as practical exercises. Some chapters also include questions and answers from the original online course. The book was structured in this format so that a reader could begin to understand and change themselves from a practical standpoint, progressing through the book to future topics and practices as they were ready. To get in touch with Mystical Life Publications please use our contact form, available through the button below. If you have previously taken the Searching Within course and would like to share your experience and what you gained, you are also welcome to send a written testimonial through the contact form.